UPSC NDA NA exam 2017 merit list comes out. Shivansh Joshi has secured the top place among all. 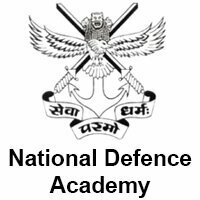 4 December 2017: The Union Public Service Commission or UPSC has released NDA NA 2017 exam merit list today for the candidate who have cleared the National Defence Academy and Naval Academy examination. Shivansh Joshi has secured the highest marks in the examination. The candidates who have qualified for the NDA NA examination can check the merit list from the official website of UPSC at www.upsc.gov.in. Here are the steps to check the merit list. Go to the ‘Examination’ header on the home page and click on the sub-link ‘Marks Information’. Now the candidate has to enter the roll number, date of birth and confirm a random image to view the round score and individual score. The candidate can download and save the PDF file. The candidate can take a print out for the future reference. The obtained score by the candidates are based on the merit. The list shows the marks the candidate has gotten in written test of 900 marks and the SSB round of 900 marks and the total final score he or she has gotten in total 1800 marks. 'The Additional Directorate General of Recruiting,Adjutant General's Branch,Integrated Headquarters,Ministry of Defence (Army),West Block No.III, Wing-I,R.K Puram, New Delhi -110066'. In the list, there are names and marks of the 371 candidates who have qualified the UPSC exam took place on April 23, 2017 and the subsequent interview by the Services Selection Board (SSB) of the Ministry of Defence. Mr Shivansh Joshi has topped the merit list among all the candidates with the score of total 1026 marks in both the written and SSB rounds. Mr Anirudh Singh and Somay Badol followed Joshi with the respective marks of 1001 and 999.